With the advent of the OPTIMUM range, PELLENC puts innovation at the service of excellence and performance, for a new approach to viticulture reconciling harvest quality, respect for the environment, profitability, and ease of use. 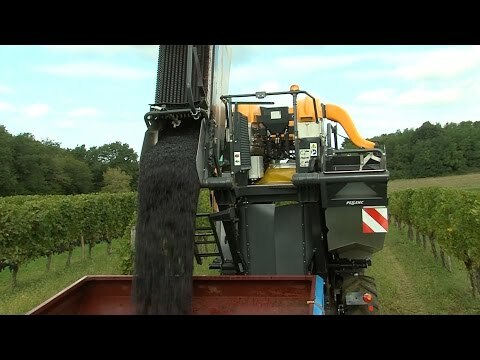 As such, each grower will find in the OPTIMUM range of harvesting machines and the multifunction carrier an equipment solution adapted to its needs and the characteristics of its vineyard and its exploitation. Releasing New Vineyard Products at the Show! Come see our new prodcuts at both of our booths (A & 205) at the Unified Wine & Grape Symposium! This year we are releasing multiple new products including the EOLE 3000/VXL sprayer which supports up to 800 gallons of product, a large pump, mixing reservoir, rate control and much more. Come by our booth and see the KLIMA cane-pruner, now fully supported and distributed by Pellenc America, Inc. for North America. Stop by and talk with an expert about how Pellenc’s year-round MULTIFUNCTION philosophy can save you time, money and labor! Explore the industry-leading technologies in Winemaking/Oenology including 10t/hr high-precision optical sorting, thermovinification with Flash Detente, intelligent presses, and more! Toy tractor giveaway each day at our booth in the Unified Exhibit Hall! Visit our booth to try the brand new Fixion 2 tying machine with ultra-lithium batteries built into the handle for true cordless freedom! Even with the battery built-in, the Fixion 2 is still one of the lightest, most efficient and ergonomic tying guns on the market with plenty of power to last over a full day of work. Stop by and see the complete range of Pellenc battery-powered tools! 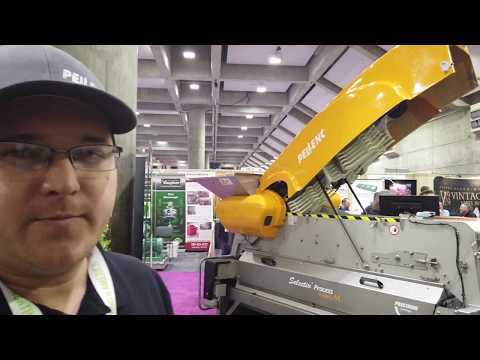 Please stop by the Pellenc America Booth at the WIN Expo to see the exciting new Fixion-2 Tying Machine, Vinion 150 Handheld Pruner and Industry Leading Selectiv Process-2 Harvesting equipment. We will also be featuring our Pellenc Optimum Multifunction Family of tractors with attachments to help you Mechanize your farming operations and reduce your input costs. We will show our new EOLE VXL Sprayer, TR3 Multifunction tool carrier, Pruning Equipment, Trimming equipment and Leaf Removing equipment. Also, on display will be our Industry Leading Selectiv Process-2 Winery equipment, our Vision-2 Optical Sorter and our new digital drive Extractiv Crusher. You will have an opportunity to see the launch of our exciting new PELLENC-PERA Oenoprocess equipment. The PELLENC-PERA Oenoprocess equipment includes industry leading presses ranging from 20 HL to 600 HL presses, Thermovinification equipment, Gulf Stream Heating & Cooling equipment as well as a range of Flash Détente systems. Experts in each field will be on hand to answers questions about our equipment product offerings. Be our guest and use our promo code (PEL612) for free access to the trade show floor. De-stemming and Sorting: Selectiv’ Process Winery: 99.8% Cleanliness and Whole Berries! "The trimmer on a MULTIVITI chassis offers the advantage of being controlled by the Pellenc MULTIVITI joystick, which I find ergonomic and easy to use. The drive is simple and robust, and the machine requires little power and maintenance. I am pleased to say that thanks to the Mutiviti trimmer I save time in the vineyard as well as in the workshop!"